Observation - Curious dragonfly wing structures - Global. Description: I snapped this darter in southern France last Sept. I think it's a Red-veined Darter but I am VERY curious about the red bead-like structures on the wings. I snapped this darter in southern France last Sept. 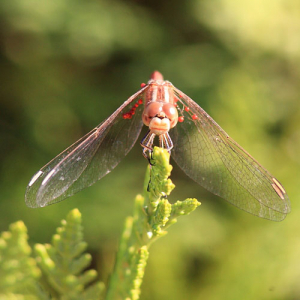 I think it's a Red-veined Darter but I am VERY curious about the red bead-like structures on the wings.